Is it TOO early to be saying "trick or treat!" 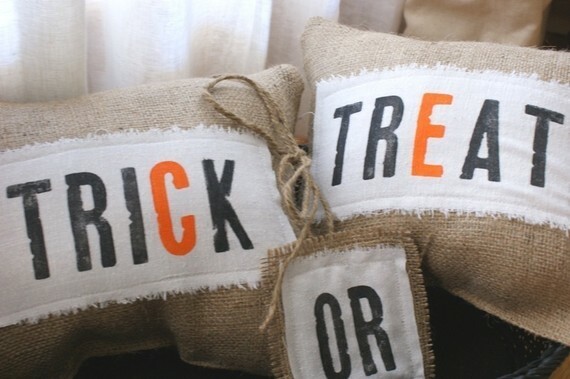 First of all, I am curious about WHY we say "trick or treat", what does it mean, and where did it come from? This information comes from Wikipedia- "Trick or treating is a customary practice for children on Halloween seen in many countries. 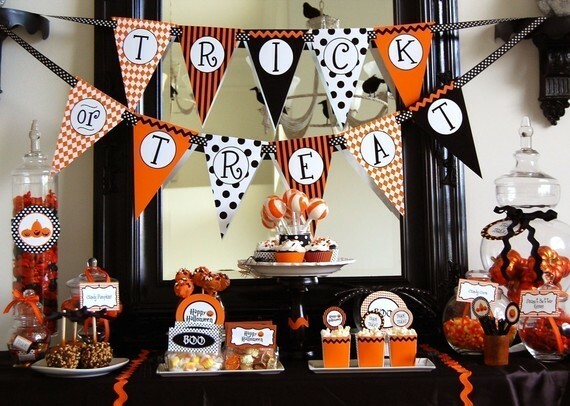 Children in costumes, either in large groups or accompanied by an adult, travel from house to house in order to ask for treats such as candy (or, in some cultures, money) with the question "Trick or treat?". 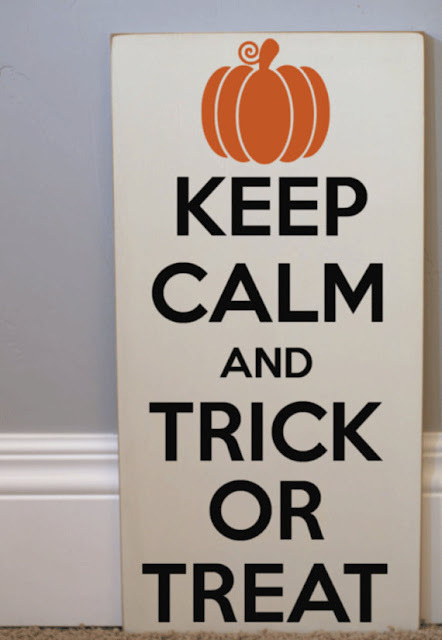 The "trick" is a (usually idle) threat to perform mischief on the homeowners or their property if no treat is given." ...and this one is from answers.com- "The actual trick-or-treating is said to have started in English during the eve of All Saint's Day when beggar children went door to door asking for "soul cakes" in exchange for prayers for their dead. Trick or treating was imported from European immigrants who came the US, especially the Irish." ...and this one from answerbag- "The history of "Trick'O'Treating" can be traced back to the early celebrations of All Soul's Day in Britain. The poor would go begging and the housewives would give them special treats called "soulcakes". This was called "going a-souling", and the "soulers" would promise to say a prayer for the dead. Over time the custom changed and the town's children became the beggars. As they went from house to house they would be given apples, buns, and money. During the Pioneer days of the American West, the housewives would give the children candy to keep from being tricked. The children would shout "Trick or Treat!". Okay, on with the cuteness! 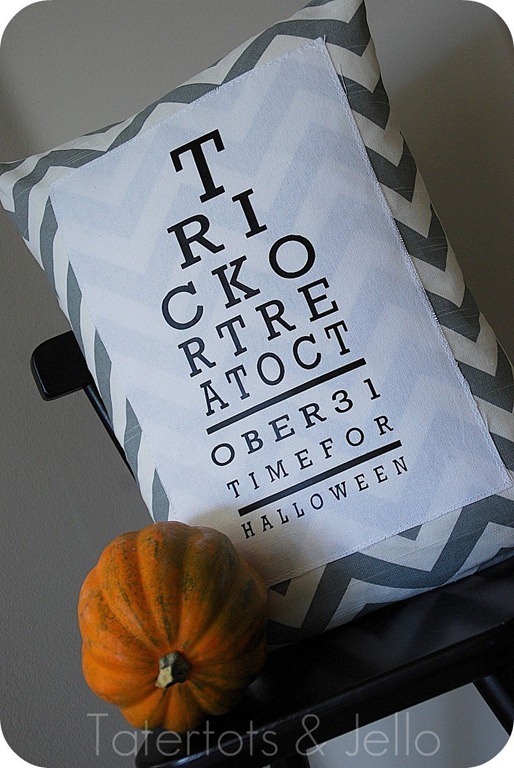 I have been seeing SO many cute trick or treat things on pinterest lately! I would normally put them in my "fall" catergory. But, after I started pinning, I realized that "trick or treat" needed it's OWN catergory! What you will find on this board is, trick or treat decor, handouts, and trick or treat bags and buckets. Here we go! The Chapman Place used glitter blast spray paint to make these darling outdoor pillows. 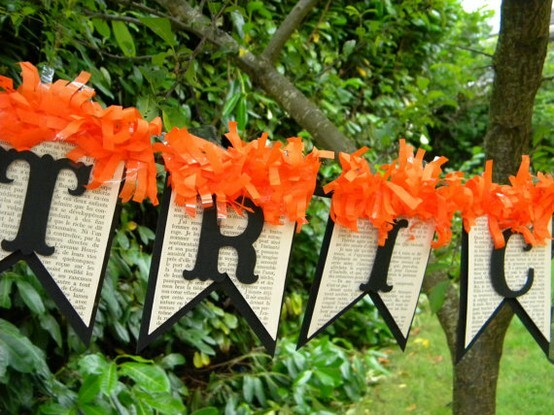 You can order this adorable banner from ETSY! 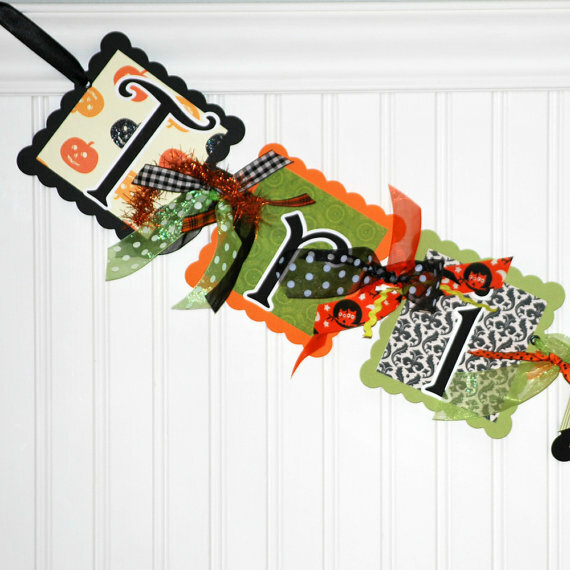 Crafts and Sutch made this cute trick or treat frame, complete with a rosette lollipop! 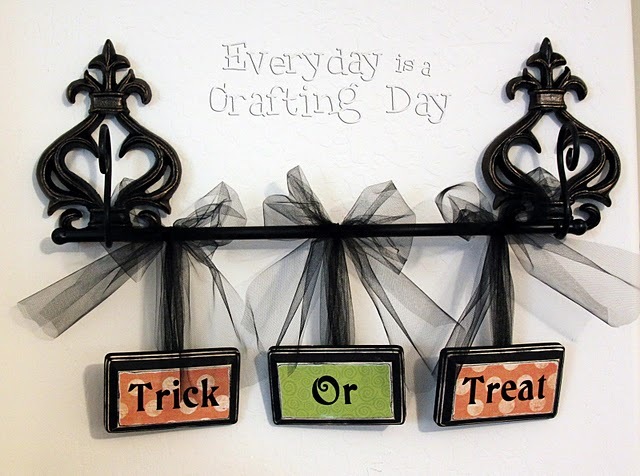 Everyday Is Crafting Day made these cute hanging trick or treat signs! 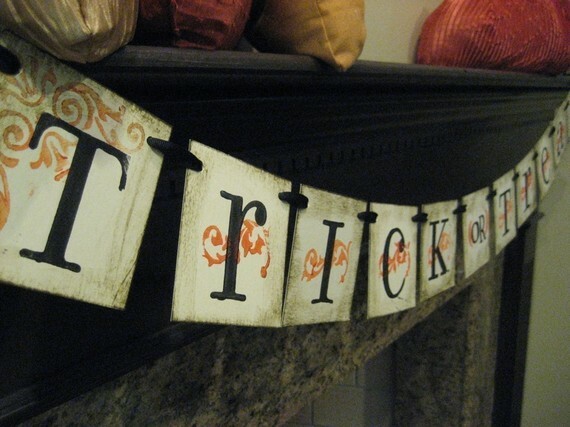 Another cute trick or treat banner idea! This one is from Bekah Jennings' ETSY shop! What a cute halloween wreath from Lil Luna! I love how she put 'tricks' and 'treats' on seperate buttons. Are you my friend on Pinterest? how was I not following you?!?!? well, I am now!! Cute Stuff!! I follow you on pinterest, but somehow missed when you pinned these. :) Thanks for sharing. So so so so cute! Thanks for sharing! I follow your blog and your boards! Hope you follow me back! Thanks for all the interesting info about Trick or Treating. i loved all the Pinterest sights that you shared. I was already following your blog, but now I'm following you on Pinterest as well. great finds. 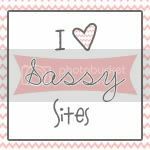 Hugs P.S>I'm having my very first blog hop today Please stop by and link up your lovely blog.